In the fall of 2014 I designed and made Skewed Nine Patch in order to enter it in the National Quilt Museum's New Quilts From an Old Favorite contest. 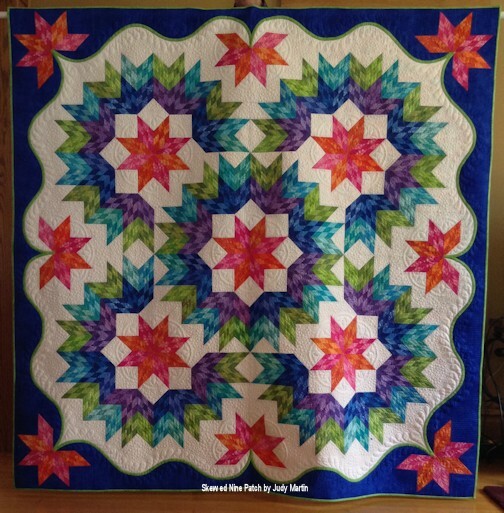 I'm proud to say my quilt was one of the 18 finalists. 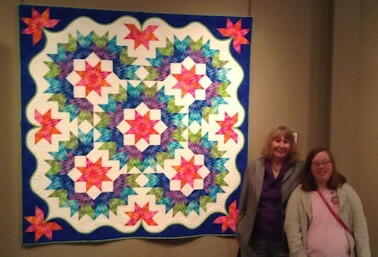 It is on display at the National Quilt Museum until May 19, 2015. Then the 18 finalists will tour for a year. Perhaps they will be coming to a city near you. I highly recommend the exhibit. The many unique takes on this old and simple favorite will just take your breath away.